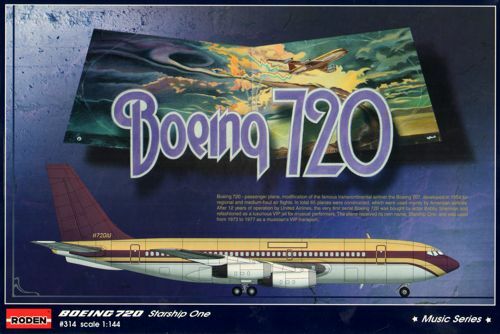 There is an ad in SAM this month saying the 720 will be in a "Music series" consisting of tour schemes for Elton John, Led Zeppelin x 2 and the Bee Gees. No airlines so far, I want Monarch and Cyprus Airways or maybe Aero America or Air Malta? Sounds good, I don't recall anyone doing a 720 in 1/144 so far. LOADS of various 707s but not a 720. I should think that three of those airline schemes could be done with current decals for other airliners, plus the odd window and door set etc. but I'm not sure about Air America. It is, and for quite a few other bands too. My LHS is checking in to getting them, sounds like they are available from his suppliers. Right on ! Cheers - link changed in the original post. 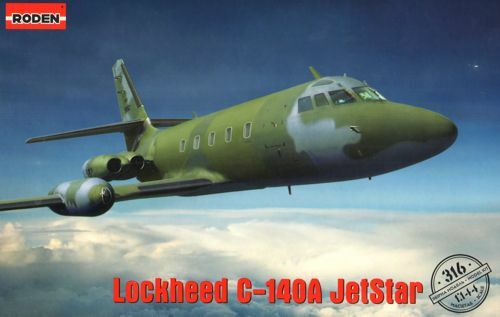 The C-140 might provide engines that I've been after for a while, I'll have to measure up and see. Given the Music series, we might see a Jetstar in Elvis' colours? Ah, memories. They used to use them for calibrating the ILS. They would approach fast with gear up and just over the threshold it was 'balls to the wall' and a climbing turn for another go-around. Looked like a fun job. They use Dash-8s now, not as hot but still fun to watch. They were using a Challenger and more recently a larger one, like an RJ. Pretty wild to watch, for sure ! Pretty sure they are based out of Kingston. The one you're talking about is preserved at the Atlantic Canada Aviation Museaum in Halifax. At least I'm pretty sure it is ! Unless it was a Coast Guard plane but pretty sure it's a TC bird.